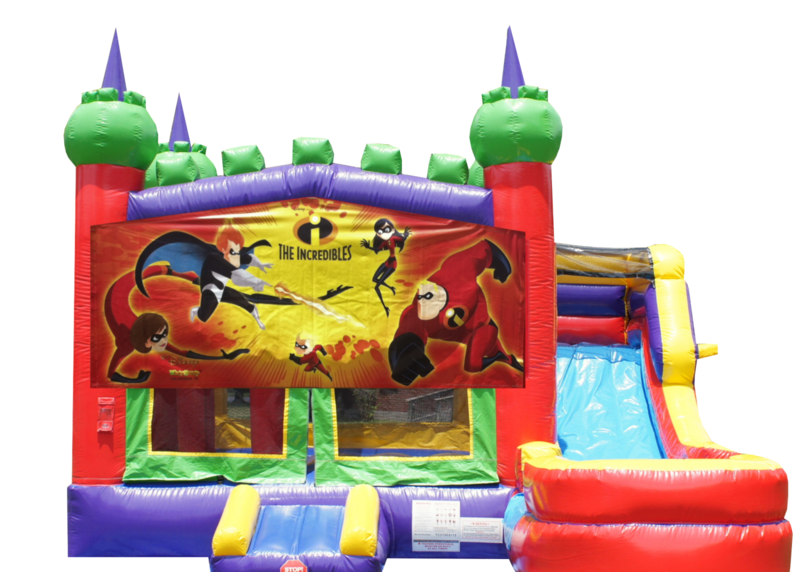 This incredibles bounce house and slide combo offers a bouncing area size is 13'x12', the size of the entire Incredibles combo is 20'x18'. The top of the slide platform where kids stand is 6.5' tall. It has a landing portion with inflated bottom to ensure a safe landing for the kids. Chairs and tables rentals are available, as well as concession machine rentals to complete your Incredibles party, but if you want to take it to the next level... check our interactive games page and add even more exitement to your party!